*Are you willing to hold and cellar the wine long-term for big gains in the future? I call this the "old school" method. * You must search for wines that are highly coveted and find them at near wholesale prices. Know the scores! You must follow Wine Spectator and Robert Parker Jr. and always know the 95-100 point wines and when they are released to the public. * You must scour the floor of every wine shop in your city and know the people that run them. Having contacts and letting them know what wines you're searching for and becoming friends and associates with them is vital in making the quick score and flip. * You must search the small mom & pop liquor stores and gas stations for gems that have been overlooked for years. I've made a killing at this! I found a $1200 flip on older Dom Perignon bottles from a Circle K gas station.....Lots of small liquor stores have owners that at one time purchase expensive wines not intended for their clientele. These places never know what they have, until YOU poach it from them and auction it off for triple the price. * Know the blue chips that have a track record of long term growth in the cellar. Here a clue....First Growth Bordeaux, Grand Cru Burgundy, the elite Super Tuscans (especially in good vintages), top scoring Brunello, Barolo, and Barbaresco, 100 point vintage ports, and cult classic Napa Valley Cabernet Sauvignon. * Buy on futures pricing or get it at the lowest possible entry point. If you can find a friend that owns a wine shop and will give you the wine at slightly over cost then that works too. * Knowing the vintage and what is deemed classic is a must for long-term investment in wine. Follow the publications and best experienced wine critics to know what classifies as a collectible vintage. *Document all provenance and keep your receipts. 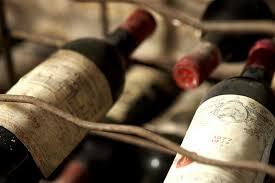 * Find a low commission online auction house similar to an ebay but for wine. Winecommune.com and Winbid.com are just a couple that I have used successfully in the past to flip wine. * Always take pride in your shipping methods and maintain perfect feedback on your auction account. This will insure you attract the best buyers as your account becomes established. * If you have amassed a very large collection you may want to consider consignment with a larger wine broker or auction house. Make sure the commissions make sense and don't eat too far into your profit margins. * Keep you wines stored in the perfect conditions and document their arrival and movement. This is called provenance and is very important to the collector that will ultimately purchase you cache. If you don't have a suitable home wine cellar, be sure to store your wine off-site in a specialized wine storage facility who will document provenance for you and insure your wines. * Look into collecting verticals and horizontals of wine. Verticals are of course many in-line vintages of the same producer, while horizontal collections are comprised of many similar producers in the same classic vintage. An example of a horizontal would be all five first growth Bordeaux wines from the 2000 vintage. * Get onto winery direct mailing lists with the cult producers. It takes a while to be accepted, but once you're on the list and you can buy wines direct, you can really make a great return. Follow these simple steps and whatever you do always research what you're buying and know the subject in great detail before getting involved. Search the auction websites and find what things are selling for before thinking you're getting a great deal.